Cook quinoa according to package instructions, about 20 minutes. Mean­while, very thinly slice carrots on the diagonal and very thinly slice fennel. Whisk together oil, sherry vinegar, kosher salt, and pepper in a small bowl. 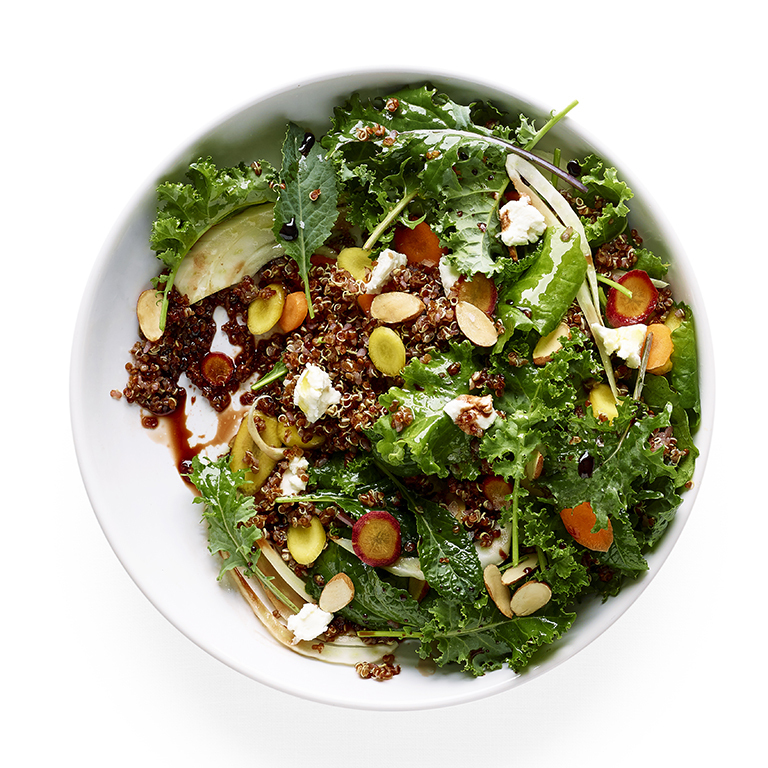 Toss kale, carrots, and fennel with two-thirds of dressing in a large bowl. Transfer cooked drained quinoa to a bowl, stir in remaining dressing, and add to kale mixture. Divide salad among 4 dinner plates. Scatter cheese and nuts over salads and drizzle with pomegranate molasses. Sprinkle with flake salt. *Find pomegranate molasses at well-stocked grocery stores and at Middle Eastern markets.